Tristan Thompson went out alone! 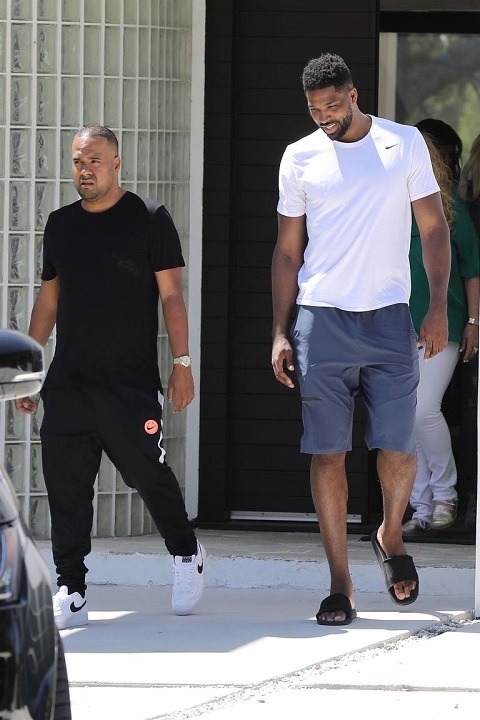 The 27-year-old NBA player was spotted hunting the house in Los Angeles and his girlfriend Khloé Kardashian was not with him together at the moment. According to TMZ report, the Cleveland Cavaliers star, who has an estimated net worth of $8 million, was checking out a $2 million home located in the Woodland Hills area. The place has seven bedrooms and eight bathrooms, and of course a basketball court. So, why Tristan is buying a new home? Is he going to start a real estate business or he and Khloe are looking to move together? Or, he's peacing out of Khloé's place. Well, this thing is yet to be disclosed. Tristan and the Revenge Body star were last spotted on June 18 while on a dinner at Nobu, Malibu together after which the went to the Peppermint Club in West Hollywood to enjoy a party. The dinner date was the second time the couple had been spotted together in public since the basketball player’s cheating scandal broke. Additionally, on June 9, the duo, who welcomed daughter True Thompson, 2-month, on April 12, was spotted heading for their friend Savas aka Rich Youngin's party in Cleveland. Khloe was previously married to pro basketball player Lamar Odom. The former couple married on 27 September 2009 exactly one month after they met at a party. They ended their relationship with a divorce in 2016, after 7 years of marriage.